I'm on the hunt for a deep conditioner that can be HG status and purchased locally. 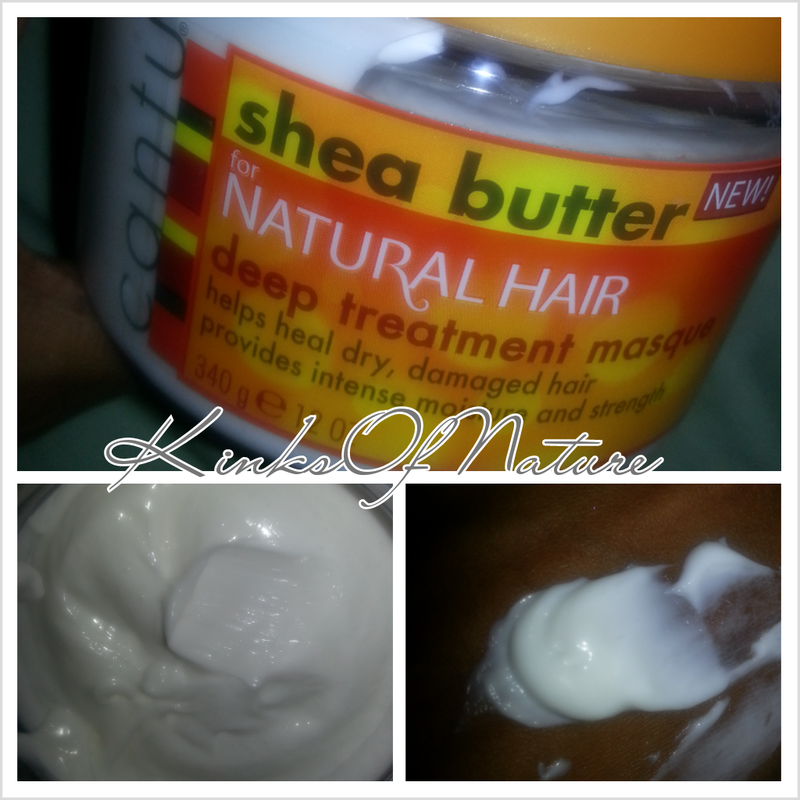 After seeing several positive reviews and being completely out of my staple deep conditioners, I picked up Cantu Shea Butter for Natural Hair Deep Treatment Masque. I instantly fell in love with the fragrance (tropical/coconut) and texture (super super thick). 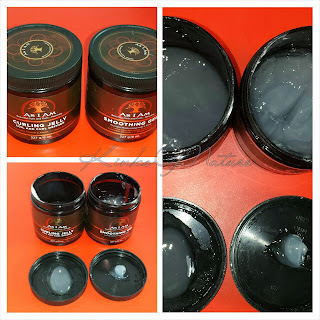 Product Claims: Penetrates deep into the hair shaft to help moisturize and repair damaged, dry and brittle hair. Made with 100% pure shea butter and formulated without chemicals or harsh ingredients. Ingredients: Water (Aqua), Canola Oil, Cetearyl Alcohol/Ceteareth-20, Glycerin, Fragrance, Beeswax, Cetyl Alcohol, Butyrospermum Parkii Butter (Shea), Glycol Stearate, Polyquanterium-10, Cocos Nucifera Oil (Coconut), Persea Gratissima Oil (Avocado), Prunus Amygdalus Dulcis Oil (Sweet Almond), Simmondsia Chinensis Oil (Jojoba), Olea Europaea Fruit Oil (Olive), Mangifera Indica (Mango) Seed Butter, Melia Azadirachta (Neem) Seed Oil, Daucus Carota Sativa Seed Oil (Carrot), Macadamia Ternifolia Seed Oil (Macadamia), Glycine Soja (Soybean) Oil, Argania Spinosa Kernel Oil (Argan), Aloe Vera (Aloe Barbadensis) Leaf Juice, Lonicera Japonica (Honeysuckle) Flower Extract, Laminara Cloustoni (Sea Kelp) Extract, Salvia Officinalis (Sage) Leaf Extract , Vitis Vinifera (Grape) Seed Extract, Melia Azadirachta (Neem) Seed Oil, Silk Amino Acids, Phenoxyethanol, Ethylhexylglycerin. Thoughts: Upon trying it for the first time, I was highly disappointed. I clarified prior to using it. When I rinsed the deep conditioner out, my hair felt the same as when I rinsed the shampoo. My hair was a dry mess, and it took forever to rinse out. To top it all off, I didn't have time to go through the wash process again so proceeded to do a wash and go with Eco Styler Pink. Disaster! Dry crispy hot mess. My hair looked fine, but it felt terrible. Those few days, I literally hated touching my hair. Any product I applied in the following days would only moisturize it for an hour at most. I'm thinking it's the beeswax or even the fragrance; they're both high on the list. If I do use it again, I'll write a full review.